So, in that spirit, this occassional feature will showcase brands who are putting their “souls” out there in unique and engaging ways. The marketplace is a challenging arena, so we hope to bring some encouragement and inspiration from these brand moments, even if we didn’t have a hand in creating them. 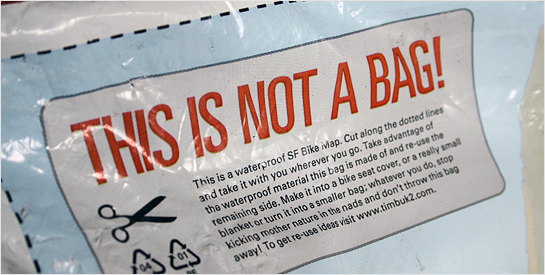 Timbuk2 makes custom travel bags, messenger and other kinds. They state that the company was “born in a San Francisco garage and bred on the backs of messengers in the city streets.” A few weeks ago I received my new 17″ laptop messenger bag from them, in this plastic shipping bag. 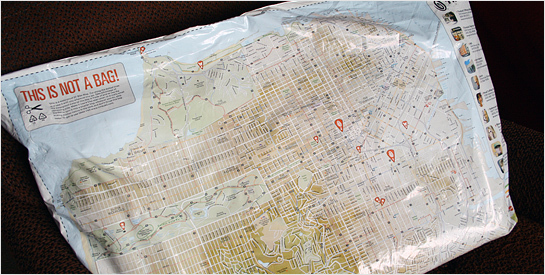 I think the images speak (loudly) for themselves, and for the roots, feel, and heart of the Timbuk2 brand. Much has been made of the latest Domino’s Pizza campaign that centers around their newly-formulated pizza flavor and ingredients. It’s an uphill battle to change any brand’s image, and even gutsier to question its soul by admitting your primary product tasted like cardboard. But they did it, and it seems this brutually honest new set of values has taken hold in a big way. Domino’s has now made a pledge to go against the grain with their food photography, promising not to use food styling or fake ingredients to depict their ‘za. 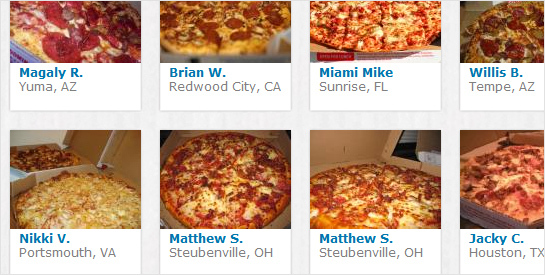 Building on these new brand foundations, they are soliciting un-retouched photos of their new pizza. What a bold way to back up your new brand approach. That Timbuk2 bag is awesome. I’ve coveted their messenger bags for a while now….I’d love to get me one someday.